Draft: 2010, Baltimore Orioles, 21st rd. Scott Reast Copeland...Attended White Oak (TX) High School and the University of Southern Mississippi. Went 9-7 with a 3.43 ERA in 22 GS between Double-A Binghamton and Triple-A Las Vegas. April 2, 2019 RHP Scott Copeland assigned to Fresno Grizzlies. 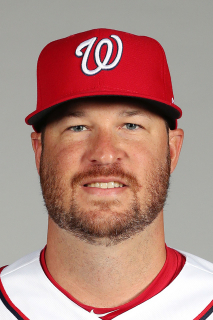 February 12, 2019 Washington Nationals signed free agent RHP Scott Copeland to a minor league contract and invited him to spring training. October 20, 2018 Naranjeros de Hermosillo placed RHP Scott Copeland on the reserve list. October 12, 2018 RHP Scott Copeland assigned to Naranjeros de Hermosillo. October 2, 2018 RHP Scott Copeland elected free agency. August 5, 2018 Scott Copeland assigned to Las Vegas 51s from Binghamton Rumble Ponies. July 12, 2018 RHP Scott Copeland assigned to Binghamton Rumble Ponies from Las Vegas 51s. July 6, 2018 RHP Scott Copeland assigned to Las Vegas 51s from Binghamton Rumble Ponies. June 3, 2018 New York Mets sent RHP Scott Copeland outright to Binghamton Rumble Ponies. June 1, 2018 New York Mets designated RHP Scott Copeland for assignment. May 30, 2018 New York Mets selected the contract of RHP Scott Copeland from Binghamton Rumble Ponies. May 18, 2018 RHP Scott Copeland assigned to Binghamton Rumble Ponies from Las Vegas 51s. May 10, 2018 RHP Scott Copeland assigned to Las Vegas 51s from Binghamton Rumble Ponies. April 28, 2018 RHP Scott Copeland assigned to Binghamton Rumble Ponies. April 17, 2018 New York Mets signed free agent RHP Scott Copeland to a minor league contract. November 6, 2017 RHP Scott Copeland elected free agency. October 14, 2017 RHP Scott Copeland assigned to Estrellas Orientales. July 8, 2017 RHP Scott Copeland assigned to New Orleans Baby Cakes from Jacksonville Jumbo Shrimp. July 4, 2017 RHP Scott Copeland assigned to Jacksonville Jumbo Shrimp from New Orleans Baby Cakes. June 5, 2017 New Orleans Baby Cakes activated RHP Scott Copeland from the 7-day disabled list. May 27, 2017 New Orleans Baby Cakes placed RHP Scott Copeland on the 7-day disabled list. December 6, 2016 RHP Scott Copeland assigned to New Orleans Baby Cakes. November 21, 2016 Miami Marlins signed free agent RHP Scott Copeland to a minor league contract and invited him to spring training. November 7, 2016 RHP Scott Copeland elected free agency. July 24, 2016 Toronto Blue Jays signed free agent RHP Scott Copeland to a minor league contract. July 24, 2016 RHP Scott Copeland assigned to Buffalo Bisons. April 12, 2016 Buffalo Bisons released RHP Scott Copeland. April 9, 2016 Buffalo Bisons placed RHP Scott Copeland on the temporarily inactive list. December 18, 2015 Toronto Blue Jays signed free agent RHP Scott Copeland to a minor league contract and invited him to spring training. December 18, 2015 RHP Scott Copeland assigned to Buffalo Bisons. November 6, 2015 RHP Scott Copeland elected free agency. September 16, 2015 Toronto Blue Jays sent Scott Copeland outright to Buffalo Bisons. September 13, 2015 Toronto Blue Jays designated RHP Scott Copeland for assignment. June 22, 2015 Toronto Blue Jays optioned RHP Scott Copeland to Buffalo Bisons. June 15, 2015 Toronto Blue Jays recalled Scott Copeland from Buffalo Bisons. June 11, 2015 Toronto Blue Jays optioned RHP Scott Copeland to Buffalo Bisons. June 10, 2015 Toronto Blue Jays recalled Scott Copeland from Buffalo Bisons. June 3, 2015 Toronto Blue Jays optioned RHP Scott Copeland to Buffalo Bisons. June 2, 2015 Toronto Blue Jays recalled Scott Copeland from Buffalo Bisons. May 28, 2015 Toronto Blue Jays optioned RHP Scott Copeland to Buffalo Bisons. May 18, 2015 Toronto Blue Jays recalled Scott Copeland from Buffalo Bisons. May 4, 2015 Toronto Blue Jays optioned RHP Scott Copeland to Buffalo Bisons. May 2, 2015 Toronto Blue Jays selected the contract of Scott Copeland from Buffalo Bisons. November 19, 2014 Toronto Blue Jays signed free agent RHP Scott Copeland to a minor league contract and invited him to spring training. November 19, 2014 RHP Scott Copeland assigned to Buffalo Bisons. November 1, 2014 RHP Scott Copeland assigned to Estrellas de Oriente. August 26, 2014 RHP Scott Copeland assigned to Buffalo Bisons from New Hampshire Fisher Cats. August 17, 2014 RHP Scott Copeland assigned to New Hampshire Fisher Cats from Buffalo Bisons. August 11, 2014 RHP Scott Copeland assigned to Buffalo Bisons from New Hampshire Fisher Cats. March 31, 2014 RHP Scott Copeland assigned to New Hampshire Fisher Cats from Dunedin Blue Jays. April 4, 2013 RHP Scott Copeland assigned to Dunedin Blue Jays. January 4, 2013 Toronto Blue Jays signed free agent RHP Scott Copeland to a minor league contract. November 2, 2012 RHP Scott Copeland elected free agency. July 25, 2012 RHP Scott Copeland assigned to Dunedin Blue Jays. July 24, 2012 Toronto Blue Jays signed free agent RHP Scott Copeland to a minor league contract. July 19, 2012 Frederick Keys released RHP Scott Copeland. August 2, 2011 RHP Scott Copeland assigned to Frederick Keys from Delmarva Shorebirds. August 31, 2010 Scott Copeland assigned to Delmarva Shorebirds from Aberdeen IronBirds. June 17, 2010 Scott Copeland assigned to Aberdeen IronBirds from Baltimore Orioles. June 16, 2010 Baltimore Orioles signed RHP Scott Copeland.